If you watch enough horror movies (or read enough critical essays on them), you will discover the certain fears are connected to certain monsters. The werewolf represent the fear of the monster within, the vampire represents the fear of sexuality (often mixed with xenophobia), the witch represents the fear of women, and the giant mutated monster represents the fear of nuclear war. What zombies represent at first seems obvious, but on closer examination always proves more complicated. Often critics focus on the undead horde and find that zombies represent rampant materialism, opposing political parties, any type of outsiders, and the idiocy of the mob. Yet when you take a closer look, what usually led to the death of the majority of the characters was their own actions—the small group that they were a part of disintegrates due to egotism and mistrust. We see this from the original Night of the Living Dead to the remake of the Dawn of the Dead. 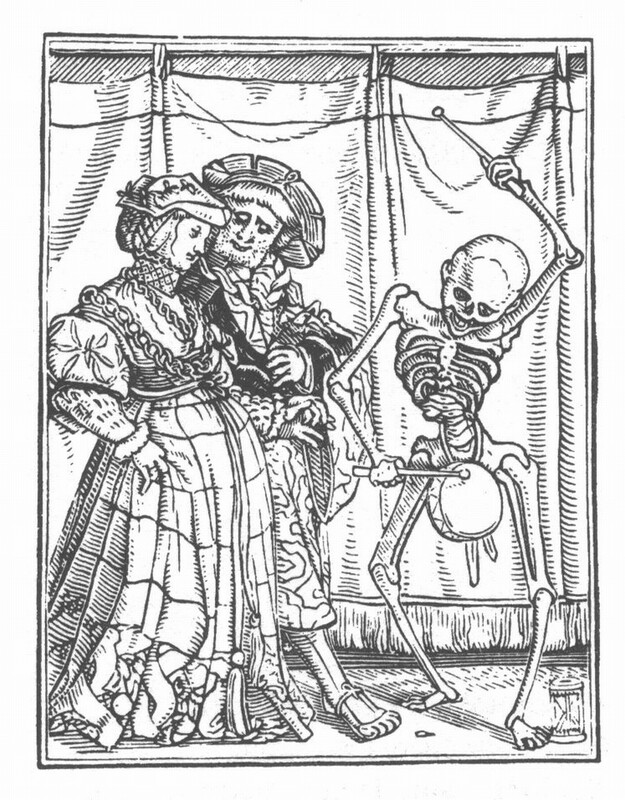 The dead can be kept at bay, but what will kill you is the petty squabbles among the group. Recently, I watched Cockneys vs Zombies, and found that it had a strangely positive outlook. 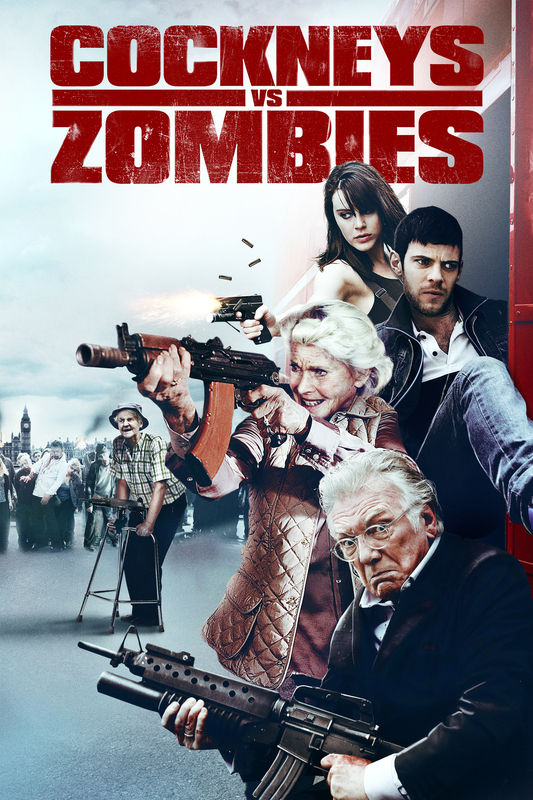 In the film the zombies represent the gentrification of London’s East Side, and our survivor group consists of a grandfather, his three adult grandchildren, senior citizens from his retirement community, and a hostage (the grandchildren were robbing a bank to save the grandfather’s retirement home when the zombie plague hit). Altogether, it is a fun film with a lot of clever dialogue and some silly moments. It’s also a surprisingly optimistic film that asserts the importance of family. All the characters who are out for themselves get their comeuppance, but those who remember the importance of family survive. The film is not perfect: there is a Stockholm Syndrome love story and an unintentional undertone of xenophobia. Yet for a movie where corpses eat the flesh of the living, it has rather happy ending. The thing that struck me as odd was that I’ve been seeing a lot of these optimistic zombie fictions. Zombieland is the most obvious—where the survivors, although strangers at the beginning of the film, become a close-knit family group. By the end of the film, Zombieland assures us that even if we don’t have a traditional family to rely on, we can create one through friends. Another example is the book World War Z, which I’ve discussed before, that suggests the human race can pull together and overcome something as impossible as cannibalistic corpses. Perhaps one the most moving examples is the short film Cargo, which, while quite sad, still celebrates the nobility of the human spirit. (If you haven’t seen Cargo you should watch it here. Right now!). I suspect that this trend all started with Shaun of the Dead, which still has a lot of the traditional aspects of a zombie film: only two of the main characters survive. Despite all these deaths, Shaun learns how to take responsibility, and he and his girlfriend are going to be all right, even well-adjusted, after facing the hungry dead. Considering my own proclivity for pessimism, I’m amazed that the most nihilistic of monster films have become optimistic. We once needed these monsters to tell us that society, no matter how small, was doomed to collapse, but now we need to be reminded that we can overcome impossible odds. At first, I want to say that this is the way with all monsters: The Wolf Man to 1985’s Teen Wolf or Dracula to (shudder) Twilight. The more we get to know a monster the less scary they seem. Still I wonder if maybe the shift in Zombie fiction reveals a deeper problem—that we need to be reminded that even in the most terrible situations there is still hope. A few days ago, I wrote a post for A Writer’s March, which I’m reblogging here. If you haven’t taken a look at A Writer’s March site, you should. Even if you’re not participating, there is a lot of good advice for writers. When I was a child, I was terrified of going to new places. There were a few places that I considered within my territory, and if I strayed out of that territory, I believed that people would recognize me as a stranger and heckle or even attack me. Once on a family vacation to California, we had to stop at a supermarket. I chose to wait in the hot car, because I was convinced that something would go wrong: it was all right to be a tourist as long as you stuck to the touristy places. Of course, nothing went wrong. Still I had good reason to fear wandering off the familiar streets. The Start of March – 2014: An Open Letter to all Past/Present/Future Participants. I’m again participating in the Writer’s March. With all the pre-manufactured writing goals that are presented to us, it nice to develop and focus on my own goals. I would to recommend, to all my writer friends, participating this March. In previous years, I’ve spent a LOT of time during The Writer’s March thinking about time posts about time– when should we write, when can we write, when WILL we write. It was about finding time, making time, recognizing the time we actually have (and the things we tend to spend with it). This year, perhaps because my own writing has shifted, I find myself much less interested in WHEN we’ll write, but WHY we’ll do it – and, as a part of that – why would one decide to dedicate themselves to writing with us in this month of March. Once a former friend of mine, who liked to collect interesting quotes from the internet, made a point of repeating a quote to me about how the only good reason to read was for enjoyment (unfortunately, I neither remember the quote or who said it). In retrospect, I realized that she was using this quote as a veiled criticism of my reading habits. At the time I was reading some French post-modernist novels. Those books often were a hard slog, where I didn’t necessarily understand all of what I was reading. I suspect my friend was trying to point out that I should not read books because they are “important.” What she failed to realize was that I enjoyed reading those books. Yes, sometimes I read books to lose myself in adventure, but other times I wanted the struggle. Like how some will hike a difficult trail or solve a difficult puzzle, I enjoy getting through difficult books. Just as one can feel miserable and hot during the middle of a hike but elated at the end, I too often feel miserable during the middle of a book but elated at the end. And sometimes, I give up. All this build up leads to a single point: I’ve read Finnegans Wake! In the past few weeks since I’ve finished it, I’ve resisted the urge to carry the book around and tell strangers “See this book, I’ve read the whole damn thing!” I’ve always been worried about finding myself in a conversation with snooty elitists—the kind that only exists in movies and New Yorker cartoons—who’ll look down their nose at me and say in their mid-Atlantic accents “Have you ever read [insert obscure author’s name]’s [insert obscure title probably in French or German]?” But now, I feel secure in the fact that I can reply “No! But I’ve read Finnegans Wake, M***** F*****!” Let’s not dwell on the unlikelihood of this scenario or its revelation of my insecurities, but instead focus on my feelings of accomplishment. I should admit that I would have never picked up this book on my own. I was too intimidated by it. Hell, I was too intimidated by Ulysses to read it, and Finnegans Wake is supposed to make the former look like “See Spot Run.” A podcast that I listen to, Literary Disco, created Finnegans Wake Up, where everyone participating read five pages a day and discussed the book on Goodreads. Reading the book as a member of a community helped me, I would not have finished it otherwise. Reading other participants’ comments allowed me to better understand passages and not lose hope during the really rough parts. That said, I still finished the book a month after the group. I imagined myself as the last person who crosses a marathon’s finish line; everyone else has already gone home to take nap. But damn it, I still crossed that finish line. If it was simply hard, I would not have been able to keep reading. Like a treacherous hike where there is often the joy of being in nature, there were these moments where I suddenly felt like I understood something. Whether it was a line that seemed to be questioning the nature of literature and narrative, a reference to history, mythology, or Popeye, or really really dirty jokes (and Joyce likes his puns filthy), I still found honest enjoyment. Of course there was the page after page of what seemed to be pure gibberish, where I just hated it all. At those moments, I could not blame anyone who threw the book against the wall. The more I think about, I realize that I’ve always been drawn to difficulty. Not necessarily the same syntactical, grammatical and purposely obscure difficulty of Joyce. Yet when I think of my favorite books—the ones that I turn to when I just want to get lost in a story—there are still types of difficulty: Terry Pratchett’s Discworld novels contain satire which forces me to turn a critical eye on the real world, Shirley Jackson’s The Haunting of Hill House and We’ve Always Lived in a Castle forces me to face the dangers of my own inclination towards isolation, Sándor Márai’s Embers make me consider my own failed friendships, and Jane Austen’s Sense and Sensibility helped me better understand what it is like to have limited options and have to rely on the good will of others to survive. Even if the prose is easy to follow, these books cause me to turn a more critical eye on the world and on myself. Rarely is such observation an easy or enjoyable task, yet it is one that I not only find necessary but that I crave. Thus I turn to a wide array of books and films that I’ll struggle with and, yes, sometimes fail to finish. What my former friend failed to understand was that I didn’t read to lose myself but that I read to challenge myself. Of course, she may have simply been responding to what she perceived as elitism on my part. Considering that I was in my early twenties, I was not necessarily above snobbery. I was proud of my achievements, and I thought literature was important. 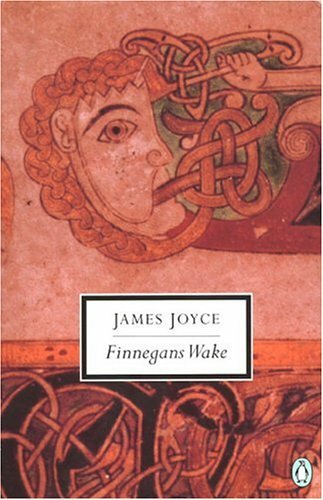 Even now when I brag, “I’ve read Finnegans Wake” many will hear “and you haven’t!” Hell, I still hear “and you haven’t!” whenever I get in the conversation with people about books, films, travel, food, and whole mess of other experiences. My joy in reading that big intimidating book is the difficulty that I experienced and worked through, not that others haven’t read it. Anyone can answer my “I’ve read Finnegans Wake” with “Well, I’ve read Proust” or “Charles Dickens” or “Agatha Christie” or “Toni Morrison” or “Isaac Asimov” or “Dean Koontz” or a long list authors that I have yet to read. The truth is I still fear those cartoonishly pretentious intellectuals who will have always read that obscure author that I’ve never heard of. As with all personifications of my insecurities, they will never be impressed. It’s still fun to image smacking them with a volume of Joyce’s work or any book for that matter. At what point is one allowed to call oneself a writer is a question that I’ve spent far too much time contemplating. When I was younger, I would shy away from calling myself a writer because my writing wasn’t serious, wasn’t good, wasn’t published, wasn’t published in a paying magazine, and myriad of other reasons. I now say that the only thing that makes a person a writer is that they write (something I’ve heard a lot of other people say for a long time before I accepted its obvious truth). As long as I spend a good portion of my time getting words on the page, I am a writer. Maybe not a good one, a successful one or any other qualifier, but I am inarguably a writer, though there is always a little (or huge) part of me that doesn’t think I can call myself one. Part of the problem is that people tend to define me by my day job instead. Still, I tell myself, I’m writer first—I write everyday after all. This past semester, I agreed to teach five Freshman composition classes. I was busy to say the least. Many of the books that I read where actually audio books I listened to on my commute. I was having a long distance relationship with my husband, even though we lived in the same house. And for the first time in years, I wasn’t writing everyday. Worse a whole week could go by without me writing. I worried that maybe I was letting go of my dream. After all, I’ve read countless essays about how academia stifles writers and about how working as adjunct crushes one’s will to live regardless of one’s field. I hadn’t heeded their warnings, and I’d become another cog in the machine of academia. I wanted to throw myself down a green hillside during a rainstorm in despair and cry out about my wasted genius, but I had papers to grade (and I live the desert where rain is scarce and cactus is plentiful). Now that my winter break is over and I’ve been able to catch up on sleep, the last semester no longer seems such an epic failure. Yes, I could have managed my time better, and, yes, I didn’t get as much writing done as I usually to do. I did revise quite a few of my poems, and I put together a chapbook that I’m quite proud of. I didn’t produce a ton of new work, but revising has always been the majority of my process. In retrospect, I did write quite a bit, but I just felt like it wasn’t enough, which is how I always feel. But during last semester, I wondered if I selected the right day job—in part because my day job, teaching college English, is a career in and of itself. I’ve always known that if I was forced to choose between teaching and writing, I would drop teaching without a second thought. The problem is if I were to stop teaching, I would still need a day job. I know that artists shouldn’t concern themselves with money, but having regular meals and a roof over my head are luxuries I’m not willing to do without. I’ve worked since I was sixteen years old and having gone from fast food to retail to offices—teaching is the first job where no matter how bad it gets, I don’t sit in the car before my day starts and think, “Maybe I’ll get fired today. Wouldn’t that be wonderful.” Being an adjunct is the most stressful job I’ve ever had, but it also allows me to be a little selfish. The hours are flexible and the majority of work is grading papers and class prep, which can be done at home at 3 a.m. in my pajamas. Also, I get to focus on things that concern writing. Teaching grammar has helped me understand it better. Yes, none of my students care about the comma, but damn it I do. There are many good reasons why writers shouldn’t work in academia, but I suspect those reason are more true for some individuals than other. The biggest reason, I’ve come across, that writers should get out of academia is that it isolates them from the larger world. It is an ivory tower that allows them to ignore what is happening on the streets. Yet I’ve found the opposite to be true. When I read students’ papers, I read about their experiences with financial hardships, crazy families, war, illness, death, birth, betrayal, abuse, friendships and joy. I discover more through talking to my students than I’ve ever encountered in the small talk in an office or a store. In one class last semester, a student decided to read “Sins of the Father” by W.D. Ehrhart (you should definitely read the whole poem here). 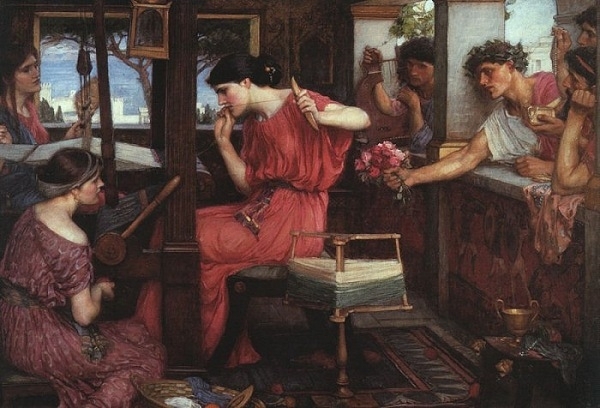 In the poem, the speaker’s daughter comes home from school crying because she’s being mercilessly teased. When the speaker says “It breaks my heart. It makes me want someone/ to pay. It makes me think—O Christ, it makes/ me think of things I haven’t thought about/ in years. How we nicknamed Barbara Hoffman/ ‘Barn’” the whole class gasped at this revelation of the speaker’s own past cruelty. I wanted to jump up and down and tell the class that, “What you just felt was what poetry is supposed to do.” Though most of them treated that moment of empathy like an anomaly—it was still there. Selfishly, I use such moments to remind myself why I write. When I was getting my MFA, one of my biggest fears was that my classmates and professors would realize that I wasn’t suppose to be there and that I was just pretending to be writer. Other writers have assured me that this feeling is universal, but those reassurance have never made those feelings of inadequacy go away. Sometimes writing does not seem enough to be a writer. There is barrage of contradictory cultural messages about what one is supposed to do to be writer—move to New York, renounce materialism, experiment with drugs and alcohol, meditate, listen to jazz—and no matter the choices I or any one makes, someone will mention how what we are doing isn’t part of the writing life. Of course, that is all BS, because the only thing that matters is that you’re writing. I realize that no matter what day job I have it would be the wrong one, because all day jobs will, from time to time, keep me from writing. I’ve just been lucky enough to find one that allows me to obsess over writing even when I’m not, and I think that is what a writer should look for in a day job. In the end, I didn’t stop being a writer last semester, I just slowed my pace. As midnight approaches my part of the world, there are a few things left from 2013 that I would like to get done. First of all I would like to brag (you know I’ve been busy if I’ve forgotten to brag about myself). In October, my poem “The Fitcher’s Birds” was published here in Gingerbread House Literary Magazine. The poem deals with the Brothers Grimm fairy tale “The Fitcher’s Bird,” which I’ve discussed in an earlier post. Gingerbread House Literary Magazine has since published their December issue, and, while I’m not in it, it is well worth the read. More recently, my poem “The Fall of Ithaca” was published here in the December issue of Rose Red Review. As you can tell from the title, the poem deals with Odysseus’ return home. I’ve also been enjoying reading the rest of this issue. I’m lucky enough to know two of the editors of As/Us: A Space for Women of the World, a wonderful magazine that publishes both online and in print focusing on women of color. They are currently raising funds for their Reach the Rez Campaign to continue their magazine and also to provide free issues to schools, libraries, and communities. You can find a link to the campaign here if you’re interested. Finally, I hope all my readers have a happy New Year!